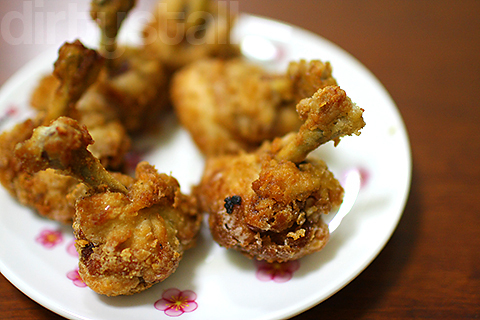 Chicken lollipops are actually served mainly as an appetizer but I decided to make more and eat them as my dinner! The ‘lollipops’ are basically made by scraping down the meat of a chicken drumlet to one end, and then I marinated them in some soy sauce. 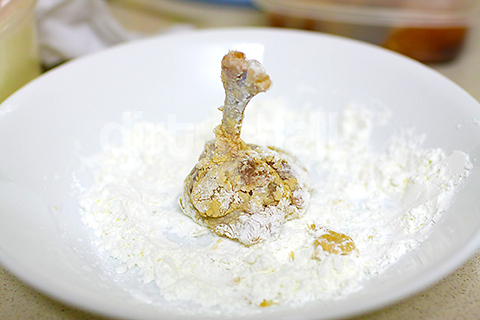 By right I should have used bread crumbs and a batter but I was lazy so I just dipped them into flour. 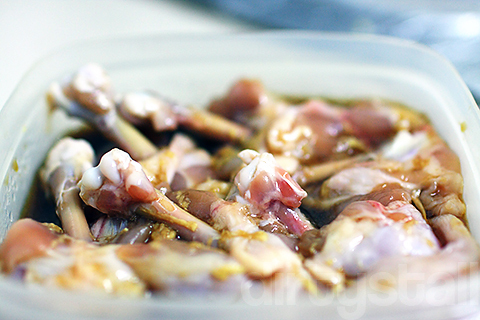 And there we go, quick and simple chicken lollipops! 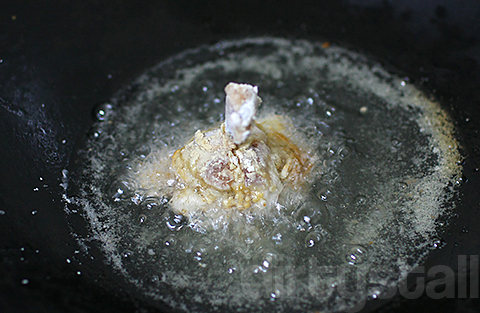 5 Responses to "Chicken Lollipops"
Any tips on how to prevent it from being oily?